Brand new home under construction in Blackstone Ranch subdivision in Strasburg. 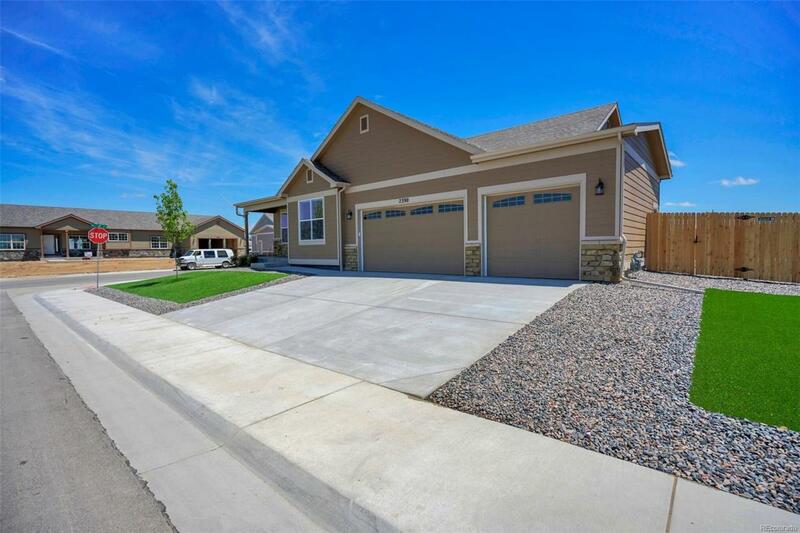 Our very popular Sage ranch floor plan. This great ranch home has the popular study option which includes a full glass double french door into the third bedroom. Standard features include: Slab granite counters in kitchen and bathrooms, 42' upper cabinetry with crown moulding in kitchen, master suite with 5 piece master bath and walk in closet, full tile surround in baths and shower, carpet & tile flooring, Whirlpool 5 burner range, microwave and dishwasher, central air conditioning, 92% efficient furnace, 8 foot overhead garage doors with openers, landscaped front and back yards, 6 foot cedar privacy fencing in back yard, full basements with 9 foot ceilings, elegant lighting package, 4" baseboards, brushed nickel door & bath hardware, deadbolts on all exterior doors and more.